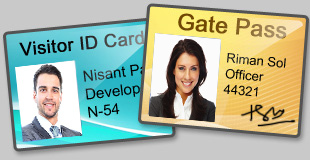 Visitors ID Cards Gate Pass Management Software design Visitors ID cards and Gate Pass for the visitors. Software manage your incoming and out going visitors from your office or company. Software provides advanced option to add visitor's details to the database for future usage. Software provides option to add visitor's details to the database. Using 'Image Cropping Tool' you can crop images as per your requirements. Software provides option to search particular visitor's record from the database. You can also export your visitor record in Excel. Software is having E-mail setting option to send designed ID Card at specified email address. You can capture photo for your ID Card using Camera. 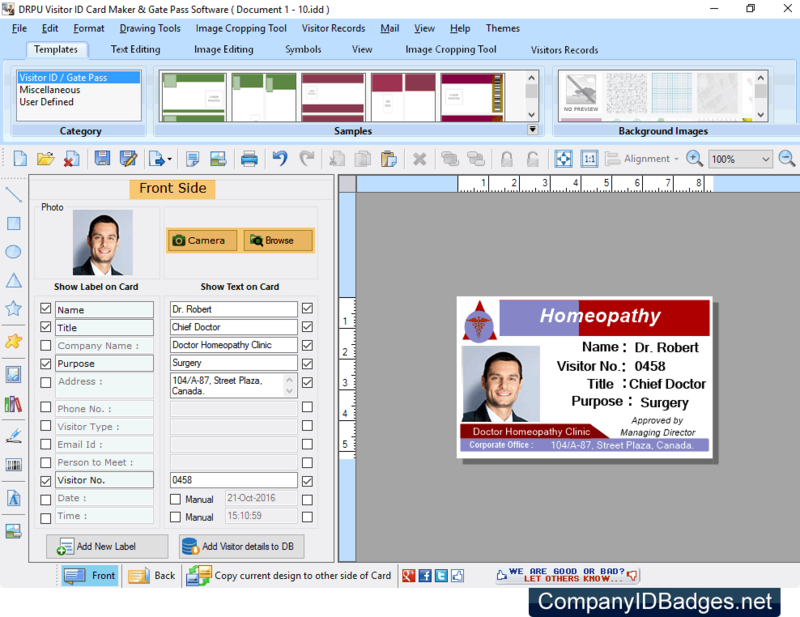 You can Export your designed ID Card and Gate Pass As Image (in JPEG, PNG and other File formats), As PDF. Software uses advanced printing settings to print created ID cards. Designed 'Visitors ID Card' using DRPU Visitor ID Card Maker and Gate Pass Software.